“Destiny is destiny,” says Rumplestiltskin at the top of this episode, despite all of Zelena’s massive efforts to go back in time and change her fate. She’s sure that if her mother kept her, and Regina had never been born, everything would turn out all right. We all have roads we didn’t take that we still ponder about: What about the one that got away? Or if we’d ever moved to New York? Or went to business school? How would any of that change who we are or what our lives are like right this minute? “Kansas” features a lot of talk about what we do and don’t have control over as masters of our own fate. Glinda seems to think that you become what you believe you are. Even though Zelena protests that there’s no way she can be the guardian of the West (the realm of innocence), because she’s wicked, Glinda says that she doesn’t have to be: “Innocence reclaimed can be just as powerful as innocence born.” So Zelena can choose to be good. And yet, Glinda also is the keeper of Oz’s Book Of Records, in which everyone’s fate is already spelled out in prophecy. So which is it? Regina is our best case for choosing free will over destiny: Having started off as a consummate villain (and still guilty of many, many unspeakable acts; I’m still mad at her for offing all of those innocent villagers), she has switched from villain to hero. Now that we’re back to Henry the Unfailing Believer, he and the Storybrookers rain on Regina like she’s the new savior to get her to go fight Zelena. Although Regina was formerly awful, her evolution has offered a clean slate by this point. She changed her fate by choosing not to be evil. In the episode’s cleverest twist, though, Rumplestiltskin seems to prove the opposite. As he puts it, “No matter what you change of your past, one thing shall remain the same: who you are. And that is a fate you can never escape.” Now free of the Dark One’s dagger, he proposes to Belle, and even though she incredibly (and incredibly stupidly) offers to hand the dagger over to him, he insists that she keep it. That’s because we find out that has gone back to his con man past and left Belle with a duplicate dagger. Rumple stabs Zelena with the real one, apparently killing her to avenge his son’s death, and breaking his promise to Belle in the bargain. But then some magic green smoke goes back to Zelena’s sorcery site, so did Rumple unleash the time-travel spell after all? Regina’s love for Henry saved her; Zelena’s love for Rumple is her ultimate undoing. They’re like two sides of the same coin. Although Rumple has pulled a pretty shady trick on Belle, the woman he professes to love, he is also motivated by vengeance for the death of his son, so does doing evil in the name of good balance out? Henry says to Regina, “I believe in you” so that she can conjure up white magic. Belle says the same thing to Rumple, and it is a grave mistake. 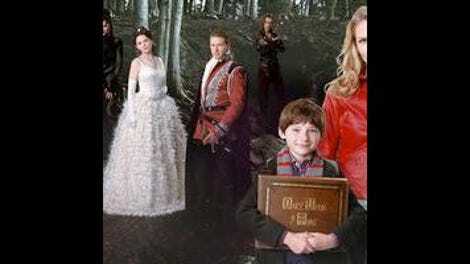 OUAT’s message is that we can change, but only if we really, really want to. Glinda takes Dorothy to the Wizard for help, even though earlier, she called him a charlatan. In the final battle, why didn’t Selena instantly just turn them all into flying monkeys? Then once she’s knocked down, she seems to be just laying there, waiting to be stripped of her magic pendant. Also in the final battle, the all-powerful Dark One’s dagger remains on the ground for a long time, it could have been picked up by anyone! Like a flying monkey! Worst of all: By “taking this fight to Zelena,” Emma decides to leave the one place that actually needs protection against Zelena (the maternity ward where Snow is giving birth) to face the witch on her home turf. On the way, she and Hook have yet another conversation about how happy Emma was in New York and how she’s taking Henry back there. I’m not even from Storybrooke, and I’m starting to get offended. But wouldn’t that time have been better spent formulating some sort of heroic battle plan? Instead, their “plan” involves just walking up to Zelena, apparently. And when they do, instead of immediately going after Zelena and Rumple with her special white magic, Emma just stands there while Rumple tosses Hook into a tub full of water. She also fails to use the magic to bring Hook back after drowning instead of mouth-to-mouth, thereby losing all her magic. This paragraph has way-too-many instances of the work “magic” in it, but still. If all it took to best Zelena was to knock her down once, surely Emma and her white magic could have accomplished that. So we get a helpful exploration of Zelena’s continued backstory, along with some appearances from more of our favorite Oz characters, like Dorothy, the Wizard (well, his fake voice, anyway), and the the witches of various realms. 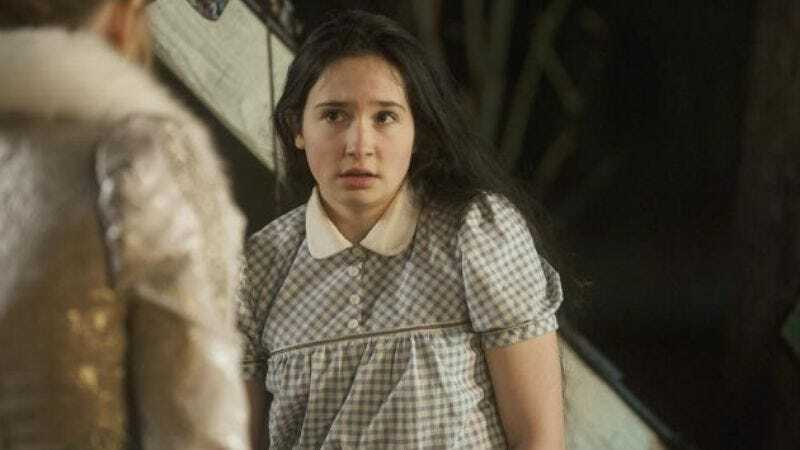 Dorothy shows up just long enough to fulfill her own destiny in defeating Zelena, but in another inspired turn, Zelena stages her melting act (it did always seem pretty unlikely anyway) so that Dorothy will go home, crafting her own destiny out of the big prophecy book. But if we could all pick a fate, it would be to have OUAT writers realize that we’re all watching their show pretty closely by now, so it needs to make sense. We can take Regina’s character transformation; just give us an actual battle. If Emma really has powers, let’s see her realize that she actually needs to use them. And Snow and Charming… well, they’ll probably never really make sense, but their new baby is still pretty cute. Unnamed so far, but cute. Food in Oz: sparkly cookies passed around on a single plate. Kind of bitchy for Emma to call out Hook on his one-hand status. No Snow White wig this episode, but she makes up for it with the most hideous peach post-maternity robe in all of creation. See you back here next week for the two-hour finale! Any guesses on where we’re headed next season?